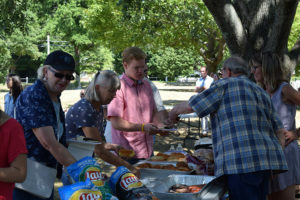 O n July 24th, 2016 Emmanuel celebrated worship in the park across from the church followed by a picnic. It was a wonderful day that featured a beautiful service, good food, fellowship, and lots of fun activities for the kids. Watch for announcements for this event. If you would like to volunteer to organize the picnic please contact the Church Office 781-762-9457.